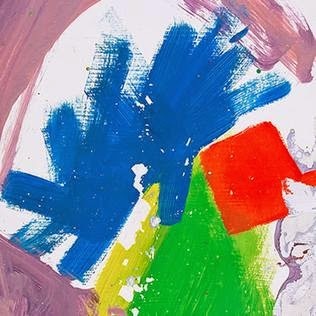 As with Alt-J's Mercury winning debut 'An Awesome Wave', 'This Is All Yours' begins with an Intro. Here, it's positively symphonic. Typical of the band's style, it explores a multitude of sounds - vocal harmonies, whistles, electronics, Asian instruments, guitars, clattering percussion - yet remains delicately layered. This Intro is followed by...another intro, Arrival In Nara. As beautiful as it is, it just feels anticlimactic. It's not until track three that we finally hear the band's first proper statement of intent. That statement is Nara; together with Arrival... and Leaving Nara they form a sort of framework to the album. Nara itself is posed as a sort of Nirvana of freedom, with its pro-equality lyrics: "I'm gonna marry a man like no other" sings Joe Newman in his trademark mumble, "I've discovered a man like no other man". And, in a middle finger to Russia, "Unpin your butterflies, Russia". That track also includes the line "Love is a pharaoh and he's boning me". That's not the filthiest lyric though. No, that accolade goes to Every Other Freckle and its "I’m gonna bed into you like a cat beds into a beanbag / Turn you inside out and lick you like a crisp packet". It's a strangely delicious lyric that injects some humour into an otherwise cold record. 'This Is All Yours's doesn't mark a huge change from the band's experimental sound, but there's certainly greater use of electronics to flesh out the textures - perhaps making up for the departure of guitarist Gwil Sainsbury. Bloodflood pt.II, for instance, takes the track of the same name from their debut and adds in clipped, processed beats and throbbing synths. The biggest effect of all, though, is silence. Prevalent throughout the album, it gives the effect of the band performing in an infinite void. There's also great influence of Asian music, particularly on the Nara tracks - a continuation of Taro from 'An Awesome Wave'. This is, however, a thoroughly British album, from the baroque breakdown in Every Other Freckle, to the Garden of England interlude (played on recorders) and the central Choice Kingdom and its repeated "Rule Britannia". Elsewhere, Left Hand Free is a twangy rock track and Warm Foothills a gentle acoustic track with lyrics spliced between multiple voices - somehow it works. Alt-J operate in their own musical language, bending different genres to their whim. That language consists of exquisitely crafted production, with adventurous sonic textures delicately layered with precision and finesse. This is an album that demands to be listened to on headphones: lead single Hunger of the Pine and its Miley Cyrus sample especially. Equally, though, 'This Is All Yours' is lacking the melodic or harmonic interest to match its forebear. Whilst it has its moments of subtle and unfurling beauty, it's lacking a Tesselate, a Dissolve Me or a Taro. The experimentation and ambition is there, but the songwriting doesn't quite match. Listen: 'This Is All Yours' is available now on Spotify and released on 22nd September.